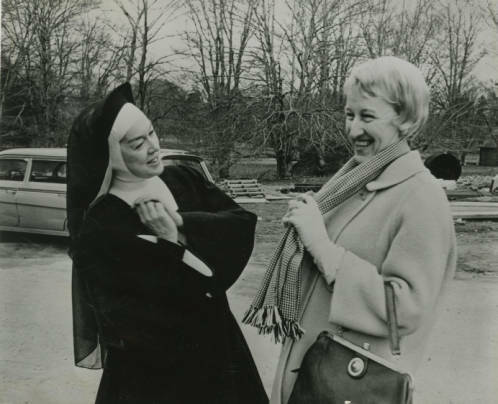 The Women and Leadership Archives was founded on the collection of MC, which was run by the Sisters of the Blessed Virgin Mary. In my work as a graduate assistant, my assignment these last few months has been to process certain MC collection series, or topic subsets within an archival collection. Time after time, these folders reiterated to me that these women inspired love. The folder often began with a woman’s Mundelein student report cards and progressed through her life. But reaching the end of a folder always hurt: it usually concluded with an obituary. 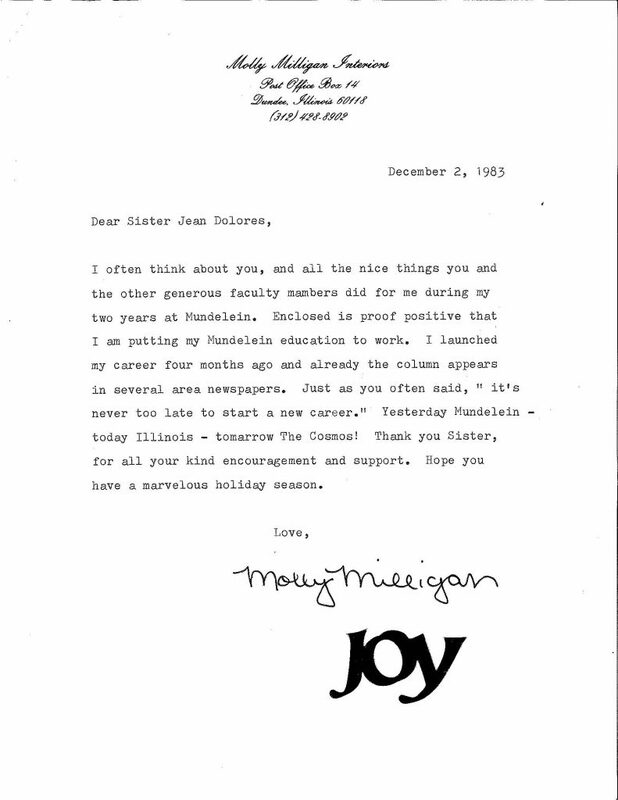 The obituary was often formal, but it became personalized through a letter to Mundelein nuns from the deceased’s grieving husband. In short, this series gave me little glimpses into the lives of Mundelein graduates and the deep care they inspired. They were academics, doctors, artists, and homemakers. They were parents, siblings, and – most importantly at the college – friends. The funeral of one alumn will stay with me for a long time. 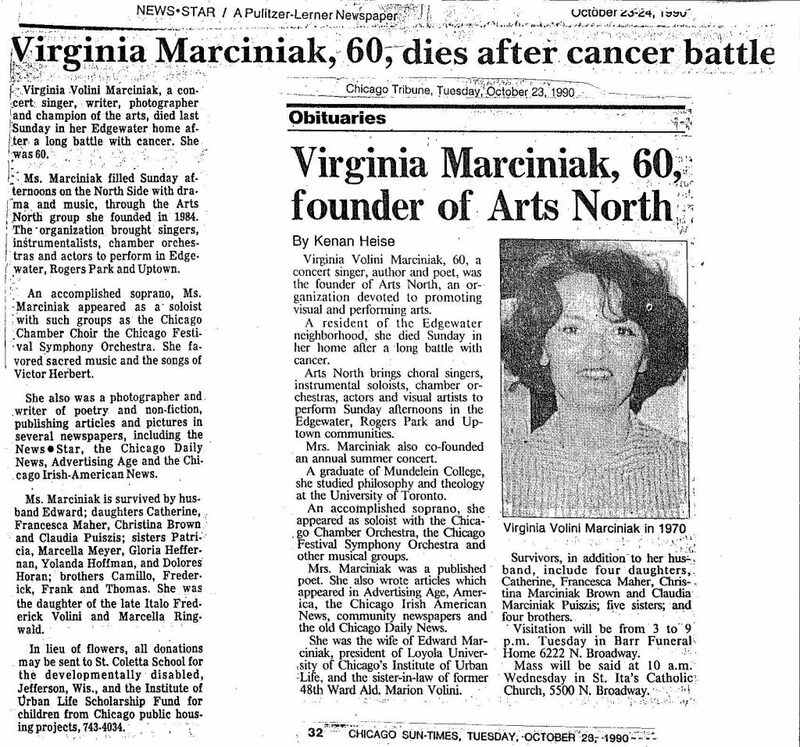 After a long and involved life, Virginia Volini Marcinak (‘51) died of cancer in 1990. I learned all about her husband Ed – the president of Loyola Chicago’s Institute of Urban Life – and her daughters Christina, Claudia, Catherine, and Francesca. 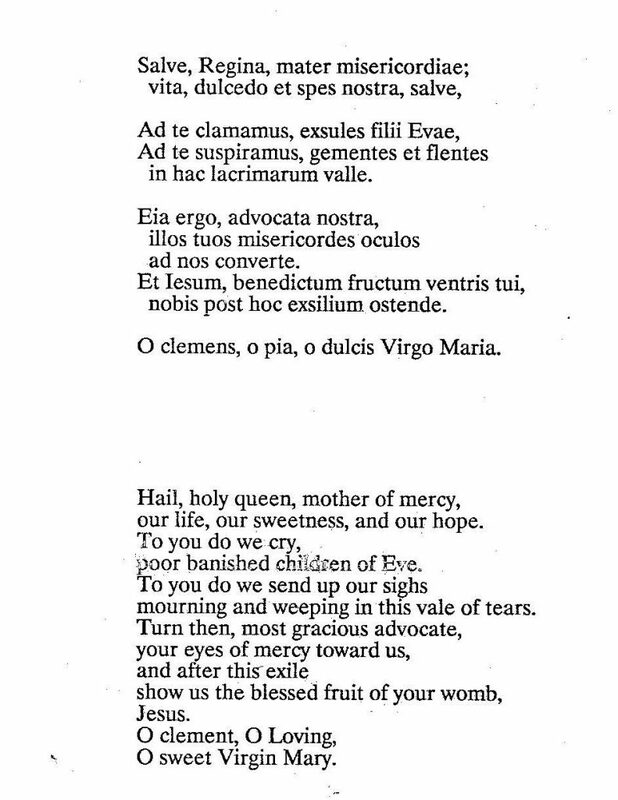 Virginia had a background in choral music and founded an art collective that served the Edgewater and Rogers Park neighborhoods. 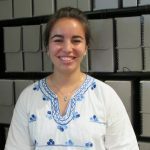 Angela is a Graduate Assistant at the WLA and is in the first year of the MA in Public History at Loyola University Chicago. Originally from the West Coast, she is enthusiastic about swing dancing, choral music, and pub trivia. Angela is also a devoted National Public Radio listener. 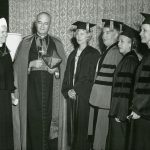 This entry was posted in Archival Practice, Collections Highlights, Mundelein College and tagged alumnae, Archives, Mundelein College by Women and Leadership Archives. Bookmark the permalink.